No. 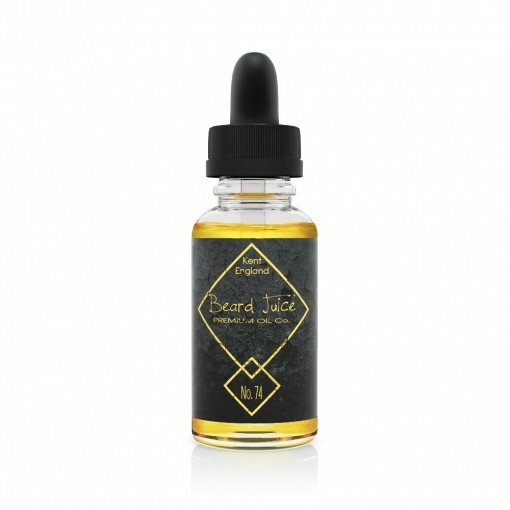 74 Lemon ‘n’ Lime Beard Oil from Beard Juice has further proved that Beard Juice can routinely produce top-notch beard oils. No 74 beard oil is a burst of citrus freshness, I love a sweet scented beard oil and so this fruity scented oil won me over instantly. It has an incredible scent that is spot on, it’s not been blended to be too strong but it maintains its scent on your beard. I awarded this oil the ‘Gold Cup’ because it is so good, a base of Almond, Coconut, Argan, Hemp and Jojoba carrier oils with a blend of Citronella, Lemon and Lime essential oils. The result is a beard oil that left my beard felling so soft and looking good, I was a bit fed up when I had to move on to the next oil test! As I have said in the reviews of their other oils, it’s not only the quality of the oils but also the Beard Juice Branding. This product would not look out of place in a top end London store, packaged in its own cardboard tube with the sleek black & gold label that also adorns the bottle, you would expect this oil to be quite expensive. However at just £10.90 from the website for this 30ml/1.5 fl oz bottle with glass dropper, it’s extremely affordable! Beard Juice also sells Beard Balms, Combs, Brushes, Scissors, His and Hers T-Shirts and Beard Beads for the Viking that lurks within.